Sunday's dire report from the United Nations is not just a wake-up call for governments around the world to fight catastrophic climate change, it urges individual action as well. On Tuesday, former Vice President Al Gore helped launch a new get-out-the-vote initiative to get youngsters to register and to back green policies and candidates at the polls. 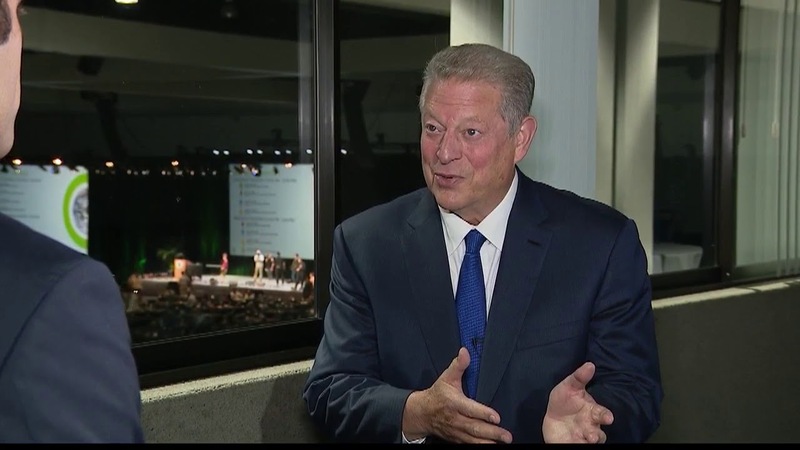 Gore voiced his sentiment during an interview released Wednesday with Fox 11's Good Day L.A. co-host Elex Michaelson. Sailele made the remarks at his speech Thursday in Australia. They each spoke about the harmful effects of global warming and called for immediate action. Most people know Germany for things like its popular car manufactures Audi, BMW and Mercedes-Benz, its annual Oktoberfest—fun fact: Germany has 1,300 breweries and 5,000 different brew brands—and all those brilliant composers (Bach, Beethoven and Schumann, anyone?). But did you know the country is also a clean-energy superpower?